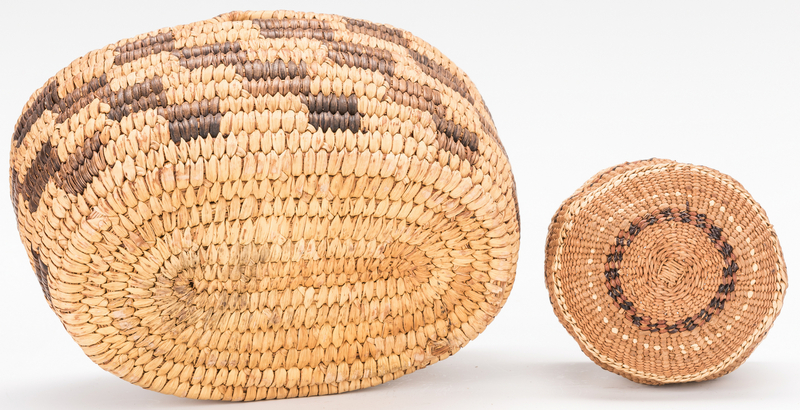 Six (6) Native American baskets. 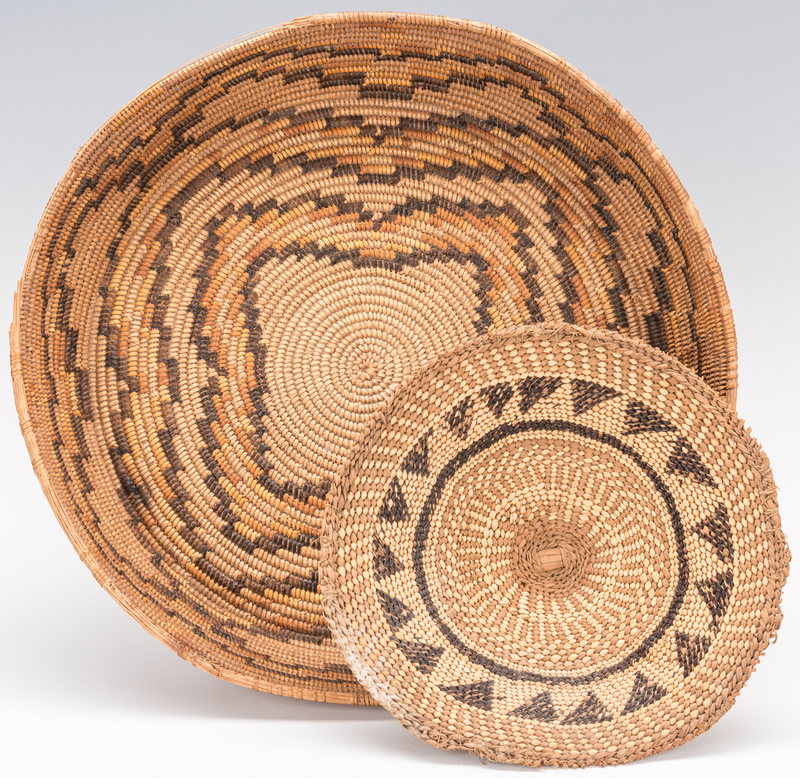 1st-4th items: Four (4) Southwest Native American coiled baskets, willow or yucca with devil's claw designs. 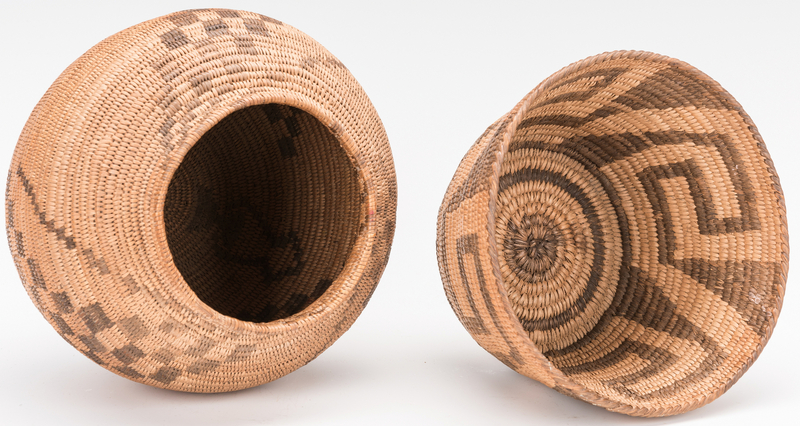 Akimel O'odham (Pima) basket with linear key design. 4 1/8" H x 6 1/2" dia. 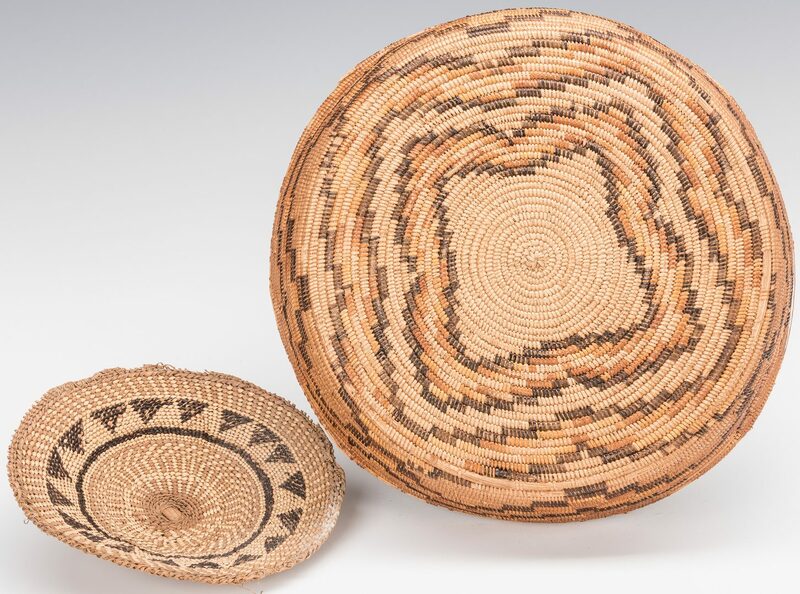 Tohono O'odham (Papago) ovoid double handed basket with step pattern design. Includes note with Papago attribution. 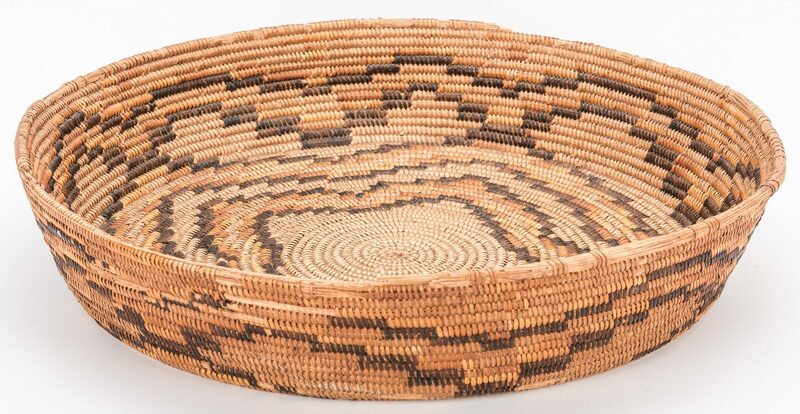 3 3/4" 7 1/2" W x 5" D. Akimel O'odham (Pima) tray with four direction pattern design. Sticker with Pima attribution, attached to base. 4 7/8" H x 14 3/8" dia. 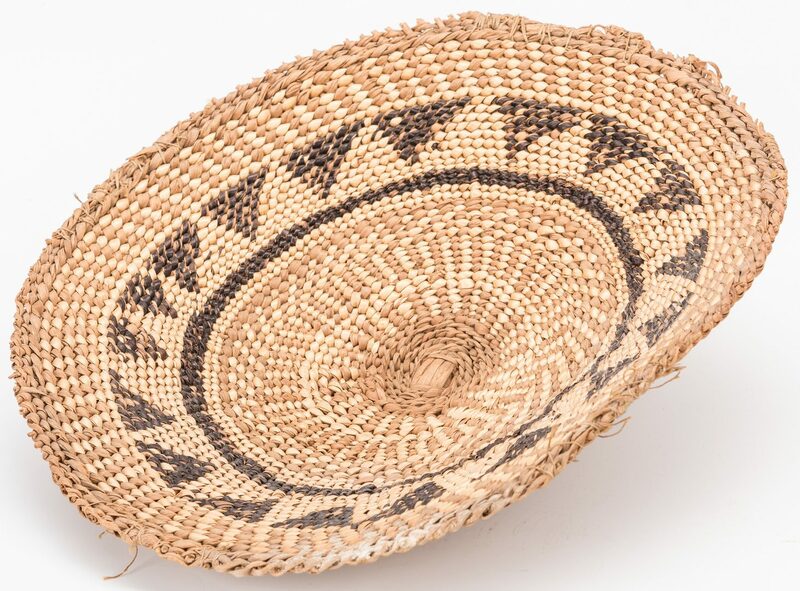 Small basket/tray with radiating triangles and geometric designs. 2 1/4" H x 9 1/4" dia. 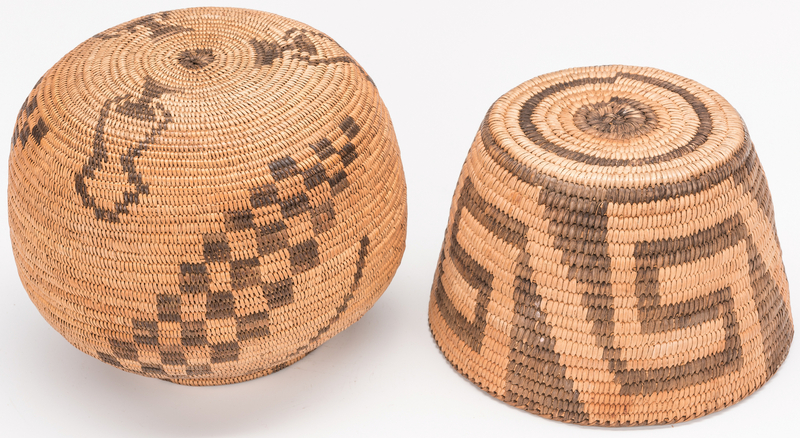 5th item: Chemehuevi olla basket with step pattern and other geometric and figural designs. Includes note with Chemehuevi attribution. 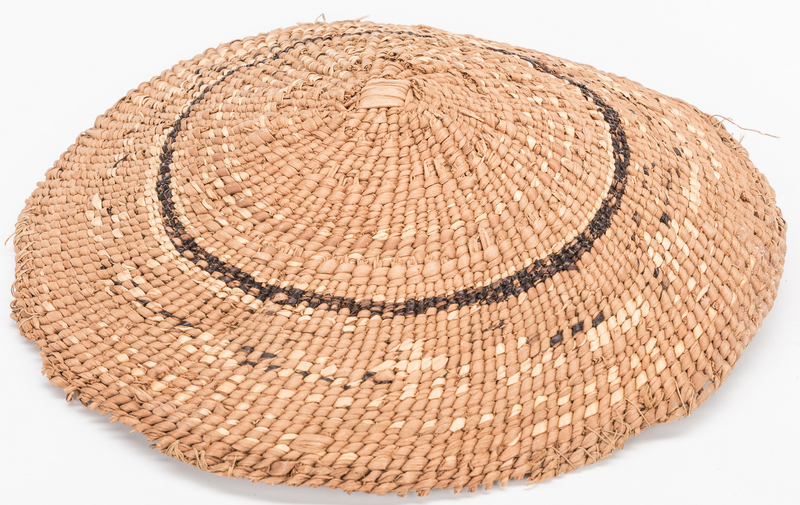 5 1/2" H x 7" W. 6th item: Small Chehalis cedar and cattail basket with decorative bands. 2 3/4" H x 3 5/8" dia. CONDITION: All items in overall good condition. 1st-4th items: Areas of loss, largest 8 1/2", circumference of rim of tray. 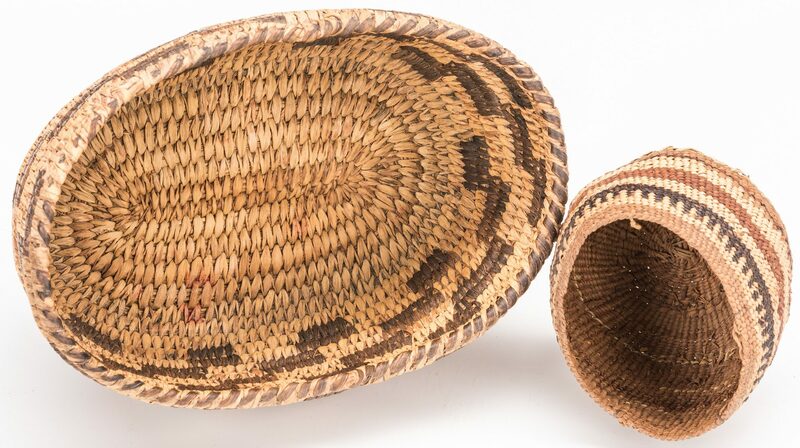 Areas of loss, largest 4 1/2", areas of dirt encrustation, small basket/tray. 5th item: 1 1/2" area of breakage, loss to rim. 6th item: Overall good condition. 3" area of loss to rim.